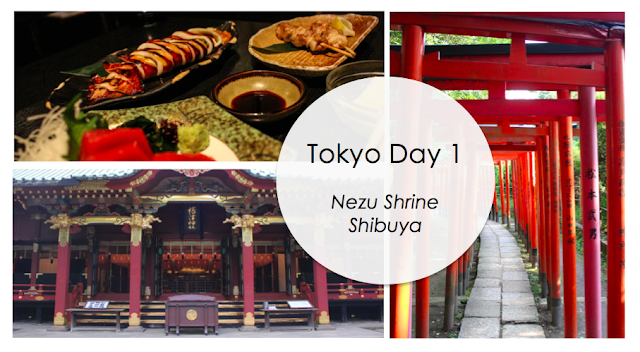 It’s a brilliant idea to combine Seoul and Tokyo in one trip, it’s only a 1.5hr flight. Why did I not think of this earlier? This isn’t my first time in Japan, in fact it’s my 4th time since 2009 July Tokyo, 2013 July Sapporo, and 2014 July Osaka. Notice how all previous visits were in July? I’m glad this time I’m not in the blazing heat, and I can shop for autumn and winter clothing for once. As much as Japan pretty much has the perfect subway & train system, there is still a lot of walking involved for transfers as well as to see the beautiful streets and architecture, so not being in 30C+ heat really allowed me to wander around comfortably. Targeted food items: Japanese curry, Sashimi, Yakitori, Ikayaki, Tonkatsu, any kind of Don (Rice bowls) and Green Tea/Red Bean desserts. If it’s your first time in Tokyo, just looking at all the names and lines on the Subway line probably makes you more lost than you already are. The key is to use the JR (Japan Rail) circular line as the guideline. 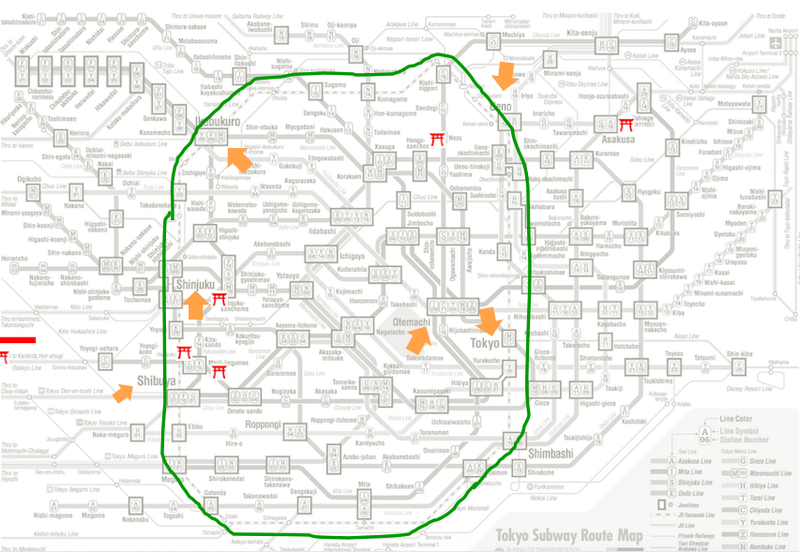 And the few big stations that have multiple lines crossing for transfers are Shinjuku, Otemachi, and Ikebukuro. Although the railway and subway share stations and tracks, if you transfer between the two there will be extra costs. Same thing if you transfer between different railway lines. For example when transferring from Odakyu Railway to Keio Railway you will need to exit the gates and pay for 2 separate tickets. Straight after getting out of customs, the first thing I did was found the subway information booth and bought a 3-day Tokyo Subway ticket. These things cost ¥1,500, and if you do the math that’s ¥500 per day, and the lowest fare is ¥170 which means 3 individual trips. It’s totally worth it. And you don’t have to shuffle around and look for coins at every stop to buy a new ticket each time. You can also get a Pasmo Card (IC sensor chipped) if you will be switching lines often and are staying for more days. One thing about the Tokyo Subway Ticket package though is that it’s not applicable for any railways, including JR Yamanote line (circular railway). But it’s still pretty convenient transferring between the metro lines. From Haneda Airport to where I was staying (Ikebukuro) took about 45 minutes or so? I did choose the furthest point in the city to reach both Haneda or Narita. But last time I stayed at Ikebukuro and loved it. It’s not really a tourist spot, so it’s just full of restaurants, malls, business buildings and hotels. This means I get to enjoy the full experience where everyone around me is speaking Japanese, no annoying tour groups. Another good thing about Ikebukuro that it is a very big subway transfer station with 8 transfer lines. 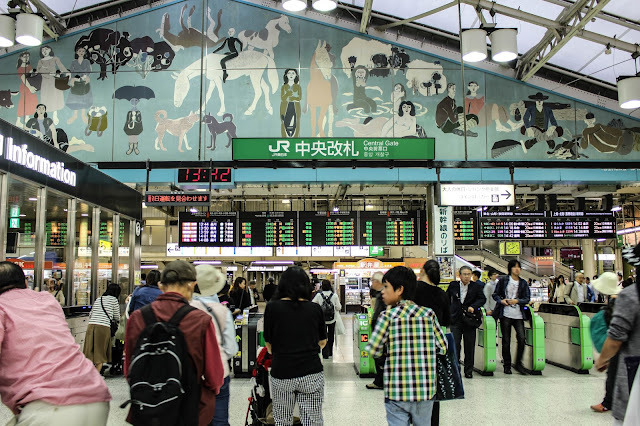 Fun fact, it is the second business railway station in the world (after Shinjuku) with a daily passenger count of 2.71 million! With such a large amount of passengers going through the station, it also has very nice underground shopping and restaurants. The whole underground commercial space is called “Echika”. 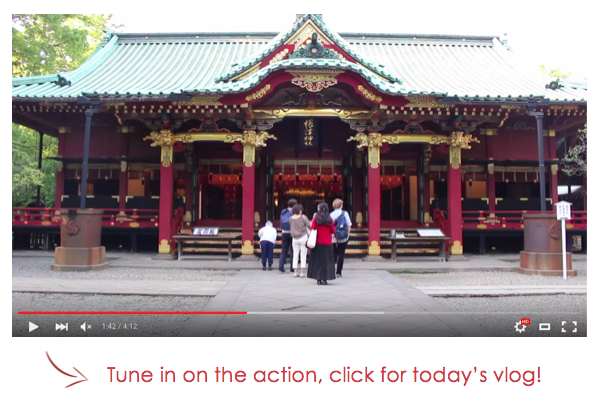 Japan is famous for being structured, organized, or you can also say inflexible and cannot-bend-the-rules. I arrived at my hotel at 1pm, and check in wasn’t until 2pm. So I just had to leave my luggage with the hotel, and head back to the station to get some essentials as well as grab lunch. 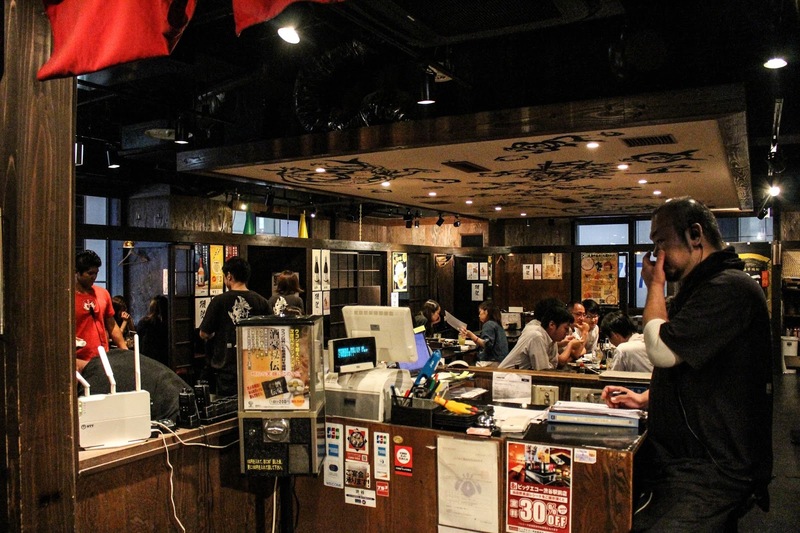 My first meal was at this place called “Soup Stock Tokyo” which is right near exit C6. They served soup along with combos with Japanese curry. I had forgotten how tasty Japanese curry was. It has a more subtle taste compared to Thai and Indian curry, and is sweeter in flavor. I got my curry along with Seafood Bisque soup and an iced-tea. This was only ¥1,150! Unbelievable for how expensive I imagined Tokyo to be. If only my work complex had this shop. After picking up some conditioner (you know, because hotels always have crappy ones), contact lens solution and face wash, I returned to the hotel to check in. They’ve actually already brought my luggage to my room, how nice! It was by no means any fancy 5 star hotel, it was just a standard business hotel. But the service in Japan is just so considerate of everything. They also asked me to choose some complimentary bath salt. Baths are essential in Japan; people take them everyday. And since my apartment in HK is too small to fit a bath, of course I am going to take an advantage of all the baths I can take in Japan. Nezu (C14) is just west of Ueno station. 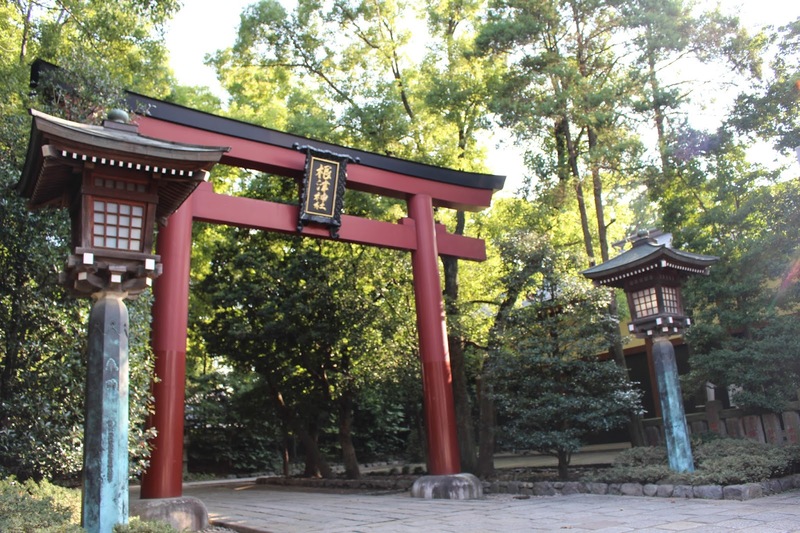 Although it’s still within Tokyo, it was a more quiet and residential neighborhood. It’s hard to imagine that Ueno is just right beside it. People were on bikes, and there were small roads with rows of trees planted on either side. 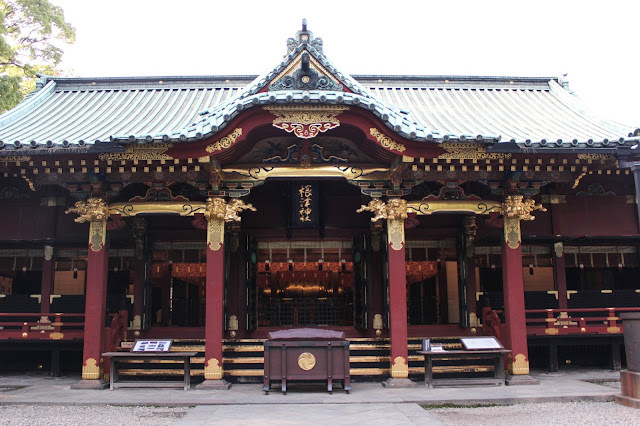 There weren’t that many people at Nezu Shrine as it isn’t well known by tourists. As I stepped in the outer gates I could hear the sound of trees, their leaves ruffled by the wind. I miss that, open space, trees, and peace. 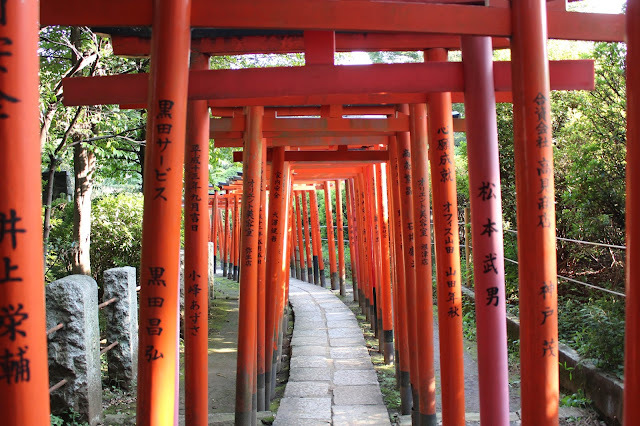 Inside Nezu Shrine there were those red gates, like the famous Fushimi Inari temple in Kyoto. However this is in the middle of Tokyo, so it was just a mini version with 2 sections. Nonetheless, it’s one of my favorite type of architecture, if you would call it that, from temples. The main building was a maroon red with bright gold linings. It looked like a gorgeous silk kimono in a temple form. There were maybe less than 10 people there. But I saw an old Japanese lady praying for a long time, and maintaining a deep bow more than 90 degrees. I just admire the respect that people put into these traditions and culture. 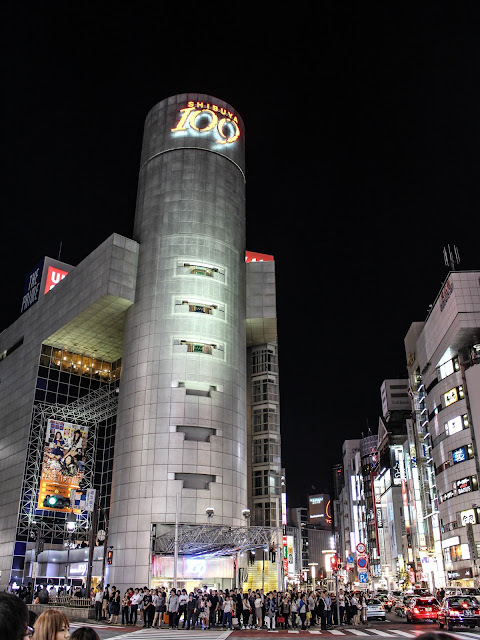 In the late evening, I choked my credit card (exaggerated) at 109, a famous shopping mall for young adult’s fashion at the heart of Shibuya. The stores there will sell outfits from the latest edition of all the major fashion magazines like Vivi, CanCam, Popteen. There’s just floor after floor of clothes, shoes, handbags, and accessories. It’s only day 1 in Japan, and I’ve picked up a pair of shoes, one handbag, and 3 outfits. Oh dear, I hope it fits in my carry on. Before heading to dinner, I found a place in the Shibuya station around 3-4 floors above ground to film the famous Shibuya cross walk. It is spectacular to watch in person. I must’ve stood there for a good 8 rounds of crossing. For dinner, I stumbled into an Izakaya in this building on the right hand side facing 109. The name of this place is called “Kimuraya”. If you don’t know what an Izakaya is, it’s basically a bar/restaurant for the Japanese businessmen to hangout after work. It’s probably the one time this place has gotten a customer like me, a girl traveling alone, with a big bag full of shopping I just did. I was placed into a private booth with a wooden sliding door, great!! I get some privacy so it’s less awkward. 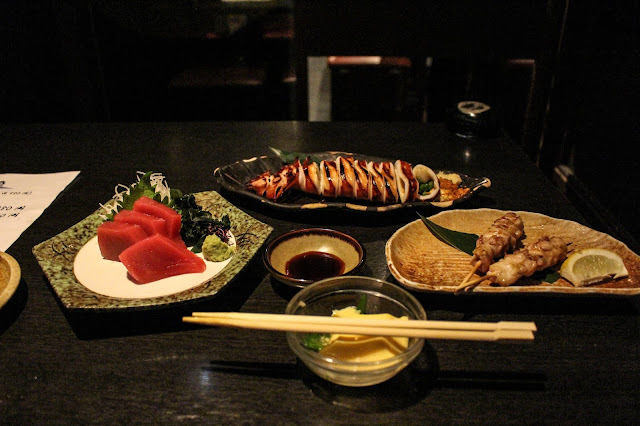 I ordered some Toro Sashimi, a couple of Yakitori, and also Ikayaki (grilled squid). And don’t forget the pint of beer! It was satisfying to not have to share. When it comes to these food items, you will need to bargain me hard if you want a piece of the Sashimi I ordered. That calls it a day. I’m absolutely exhausted and so are my feet from walking around. Hot bath saves the day. Next on Day 2 in Tokyo, I’ll be covering Hanazono Shrine, Gotokuji Temple, Meijijingu Shrine, Mitsui Outlet Park (Tama-Minami Osawa), Harajuku’s Takeshita Street, and Wako Tonkatsu in Ikebukuro. I absolutely love the train system in Japan. Feel free to skip this section if you aren’t interested, but I am going to dedicate the rest of this section to my observations as well as appreciation to the Japanese railway system. First of all, people have very good etiquette when it comes to walking around. You always stay on the left, which means even if there are 2.71 million people transferring; you will not bump into anyone. It was very crowded, but no one every bumped into me. People always stand still on the left side of the escalators and the right side is for people to walk up/down if in a hurry. The subway car is completely silent. People don’t chit chat or shout of talk on phones and you can hear the announcements clearly. Certain stations have gates, and for those above ground with no gates, there will be staff standing at the edge of the middle section of the platform to communicate with hand signals to the train operators on whether or not it’s clear to close the door and depart. Even without gates, I don’t see any trash on the tracks, in contrast with New York City subway, which is the nastiest public transportation system I’ve ever seen. There are “high speed escalators” in certain stations, sounds like my type of thing. Depending on which subway lines you are on, each station plays a different melody when doors are closing. The two ends of each train car are for the elderly, disabled, pregnant, and women traveling with young children. Those areas require you to have your cellphones off. In other parts of the station your cellphones must be on silent mode. There’s also a female only subway car during rush hour to prevent unwanted physical contact. And it is probably the most extensive and efficient train system I’ve ever seen. 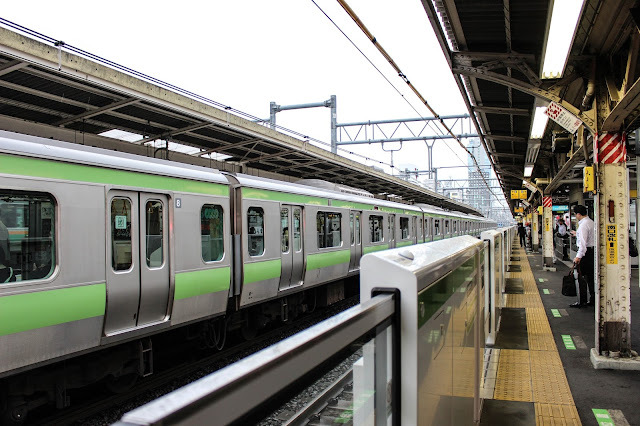 Take Shinjuku Station for example, it has 16 tracks serving 11 different lines with 2 directions each for the JR lines. It has 10 tracks serving the Odakyu line for the various train speed types (Limited Express, Rapid Express, Semi-Express etc) It has 7 tracks shared between the Keio line and Toei Subway line. And last but not least it has 2 underground tracks for the Marunouchi Subway line. 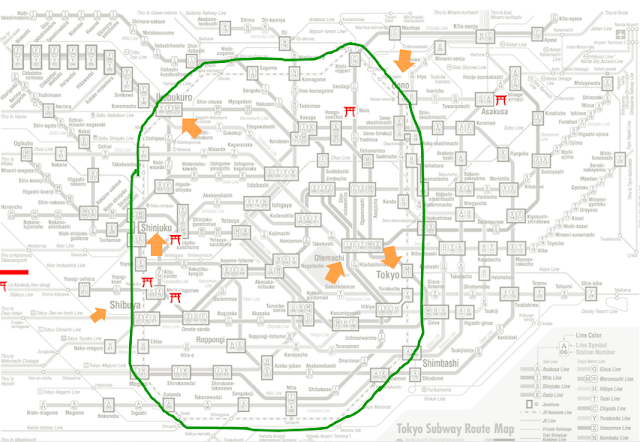 That is 35 tracks in one station, imagine how many stops you can reach from Shinjuku directly without transfer. It not only needs to serve each line at both directions, but also at least 5 different modes of express for each railway line. The efficiency level and volume it can handle puts any other railway station to shame. 1. There’s approximately 27,000 km or railway covering Japan serving 22.24 billion passengers (stats from 2006). 2. 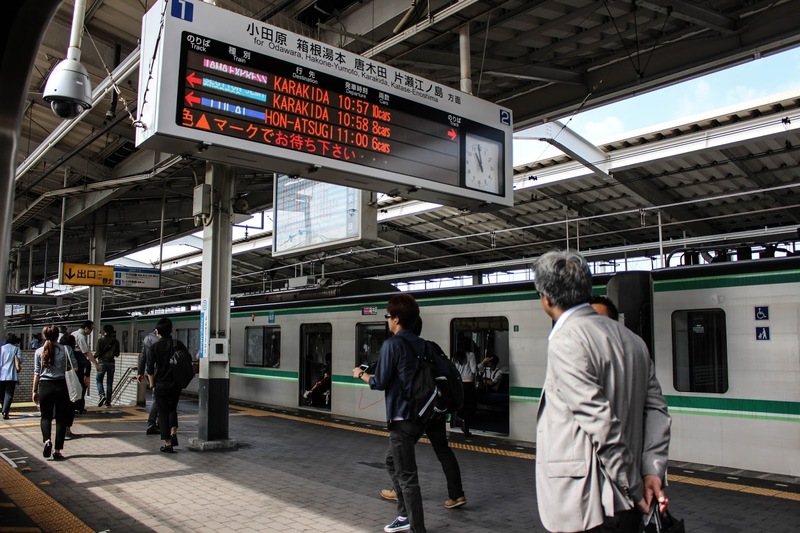 Japan is home to 46 of the world’s 50 busiest stations. 3. Being one of the most punctual railway systems in the world, the average delay on the Shinkansen in 2012 was only 18 seconds.